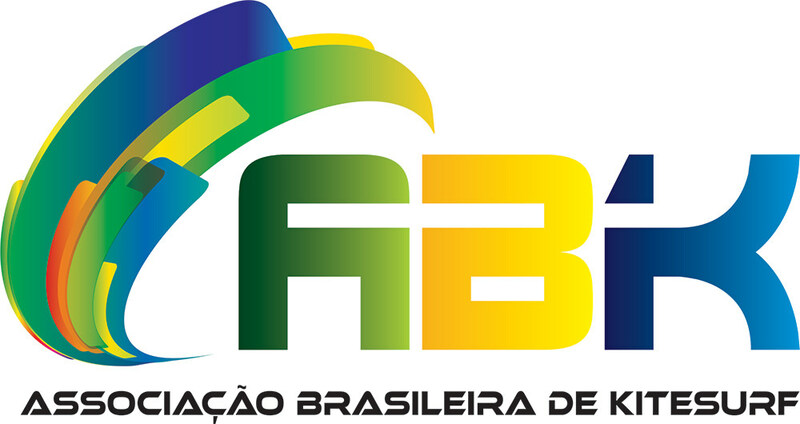 The full course is recommended for a basic and intermediate level. 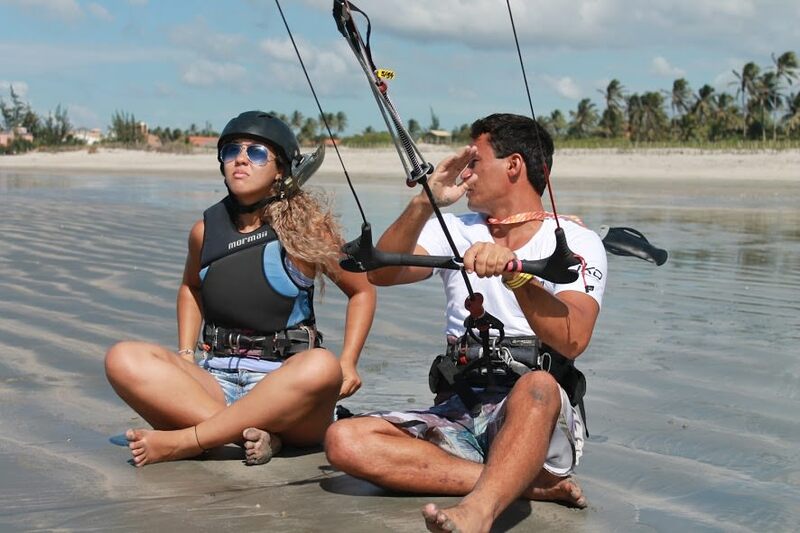 In this first contact with the sport the student will learn about the equipment, installation, wind and its effect on the kite, safe areas for the sport, security system, kite control, takeoff and landing and how to generate power with the kite inside the water. 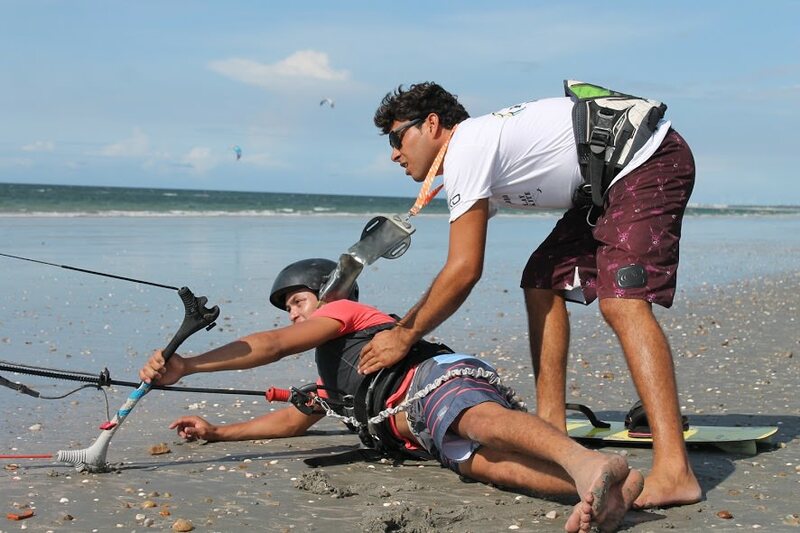 The student will initiate and enhance the practice of "body drag", learn self rescue, board recovery techniques and re-takeoff of the kite in the water. 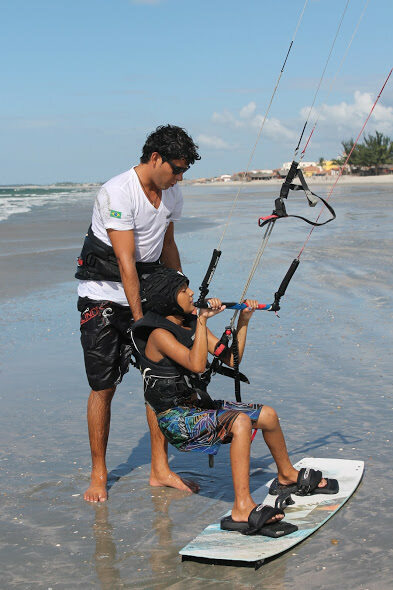 The student will start the first contact with the board and practice the skills with it. 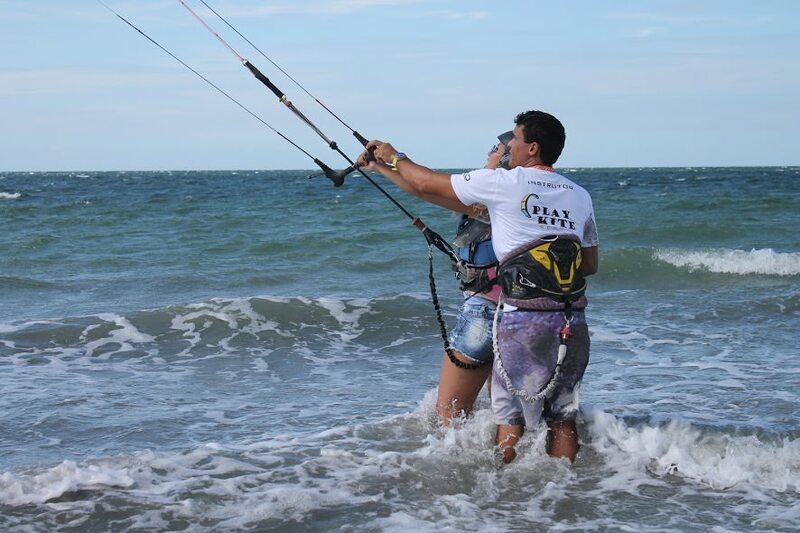 Learn techniques to sail both ways "downwind" and "upwind" and make the transition. The advanced course is ideal for the most demanding athletes or for those who already know how to sail but want to go further. 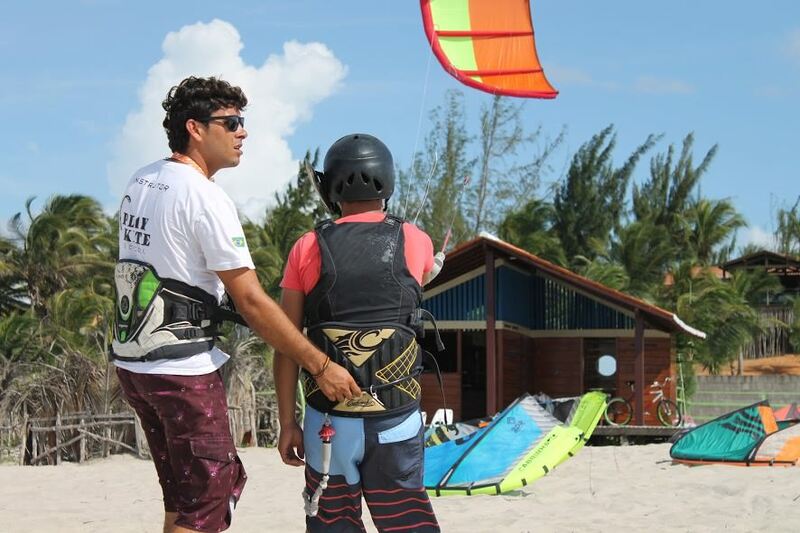 Learn freestyle, kitewave and kiterace maneuvers with us! Learn tricks like a pros (jumps, grabs, transitions, handlepasses). 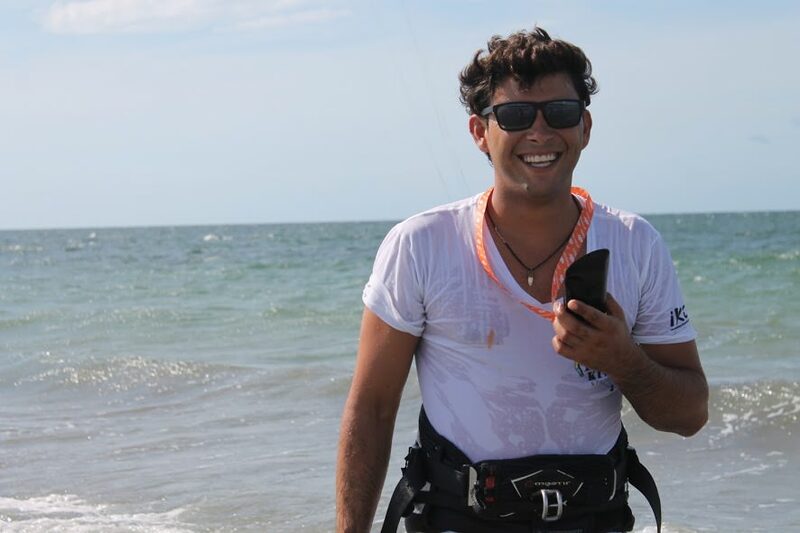 Surf with the kite! 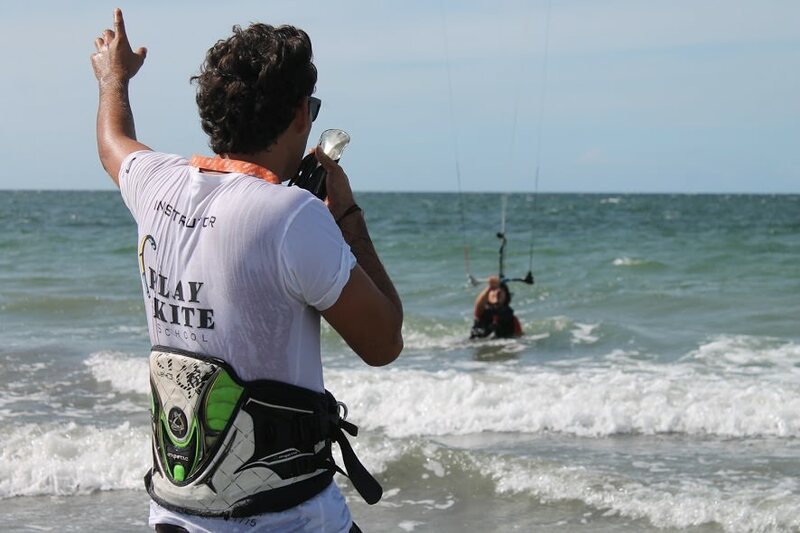 Learn all the techniques for kitewave (jibes, dug and striking). The closest mode in sailing, sail with the kite on high performance (jibes, cambadas, buoys assembly, lay lines and race tactics). All courses are totally practical and intensive. The equipment is included in the value of the courses. 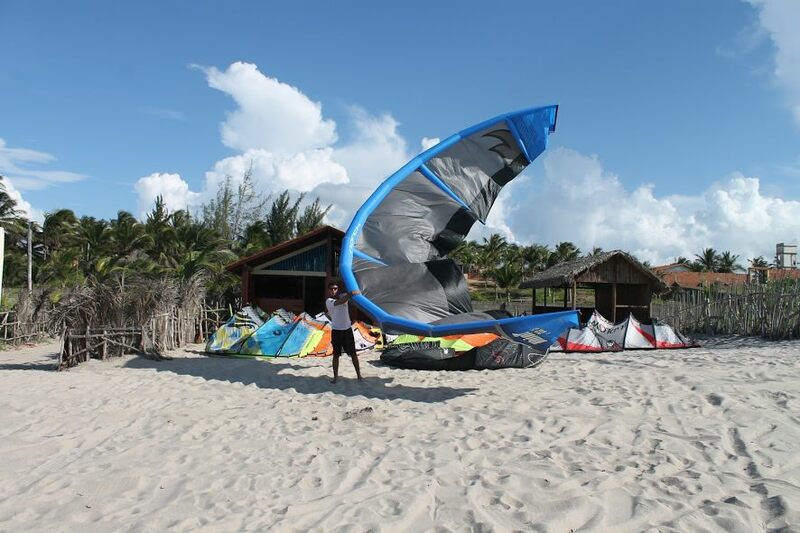 The kites used are new and 100% latest generation, with boards of various sizes and models, according to the needs and level of each student. 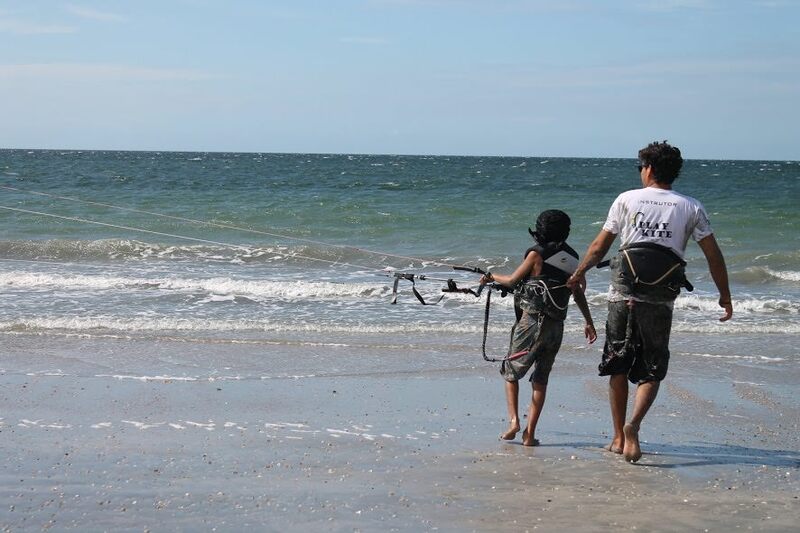 We also provide helmets, life jackets and an innovative radio system where the student gets information while in the water. 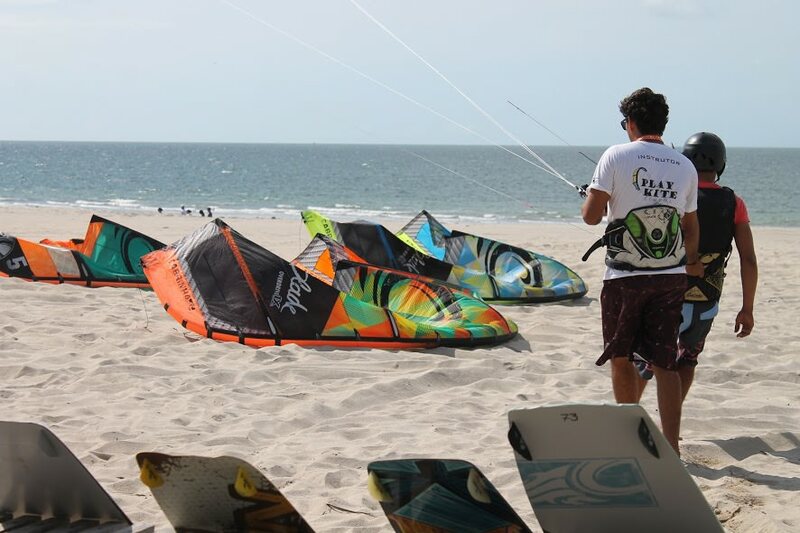 Our instructors are graduates by the ABK - Associação Brasileira de Kitesurf, the brazilian leading organization that governs, promotes and develops safe kiteboarding in brazil. 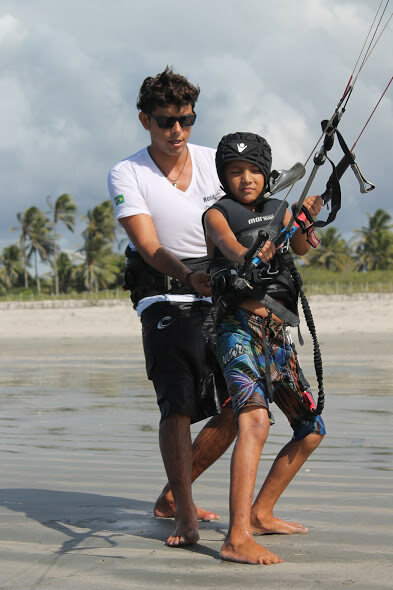 The Play Kite School provides full-service rental of equipment: kites, boards, trapeze and helmet. 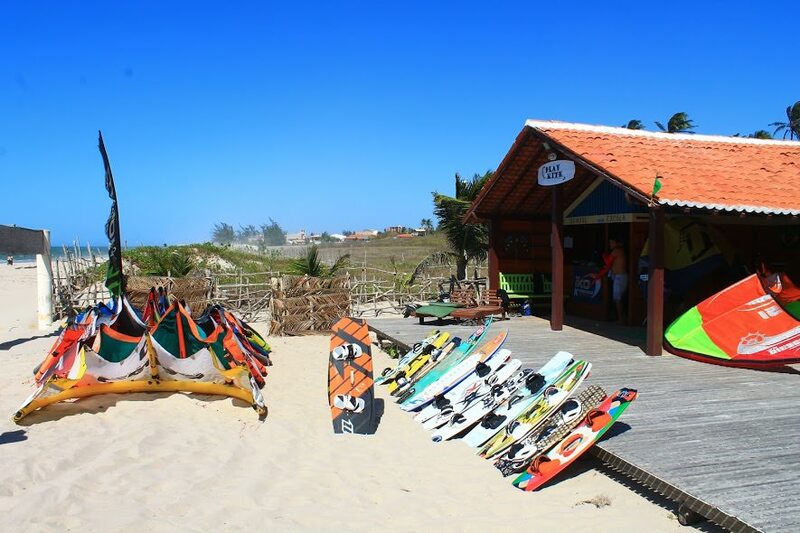 We only work with the most established brands in the market, but the most used are F-One, Nobile and Cabrinha, from 4 meters to 12 meters. The rent of the material can be done by hour, day or periods (packages) that fit your needs. All equipment damage will be charged to the customer. 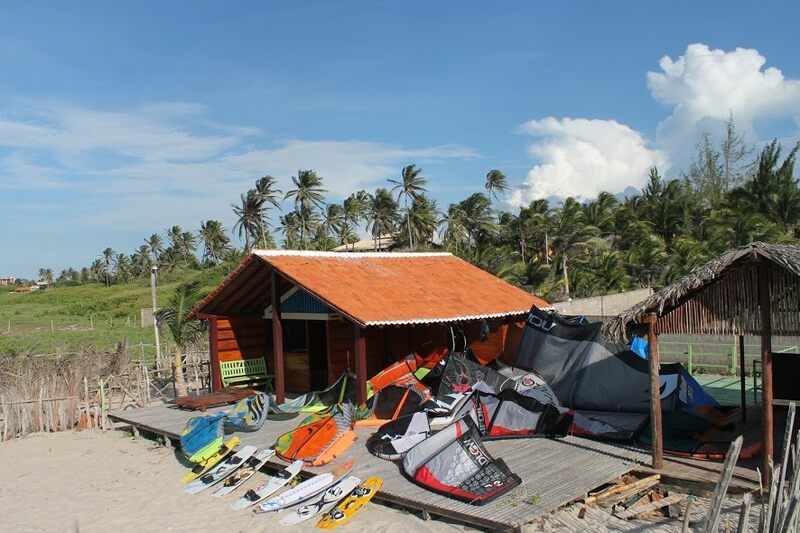 The school also offers of a storage area for you to leave your kite equipment safely.